﻿ Irish Film Institute -CELEBRATING IDA, WIN A DVD & POSTER! CELEBRATING IDA, WIN A DVD & POSTER! Celebrating director Pawel Pawlikowski’s new film Ida, which opened Friday, September 26th at the IFI, we have a DVD of Pawlikowski’s, The Woman in the Fifth and a film poster courtesy of our friends at Artificial Eye, to give away to one lucky winner! Initially wary of each other due to their vast differences, their relationship is complicated by Wanda’s revelation that Anna was once Ida, born to Jewish parents of whom no trace remains. In search of her origins, Anna travels into the Polish countryside with her aunt, seeking a connection to the family she never knew, her faith tested in this and other, more earthly ways. 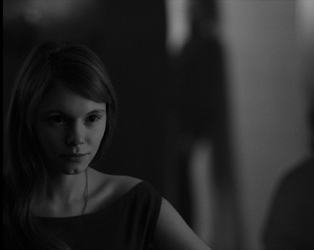 Beautifully shot, Pawlikowski’s spare and affecting film is a strong addition to Polish cinema’s body of work examining the country’s troubled history. Director Pawel Pawlikowski received a BAFTA in 2005 for which film?